Are you ready? 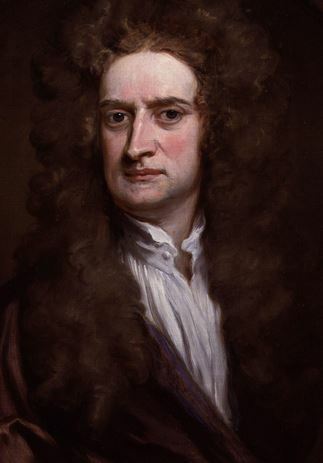 Just 7 more shopping days until December 25th – Newton’s birthday. * People celebrate Sir Isaac Newton’s birthdate in interesting ways. In this part of the world, there are a lot of coloured lights, decorated trees, and shiny tinsel. Stores all over our city are running specials (although the best sales are on Newtonian Boxing Day, December 26). All in all, it’s a festive occasion and a great way to remember the man who brought us gravity, optics, calculus, and all those laws of motion. Newton would be 372 years old next week, had he not been stricken by the infirmities of elderliness. But I wonder what the world would be like if he had never been born? Would gravity work the same as it does today? Probably, but we should still celebrate the great man of physics. 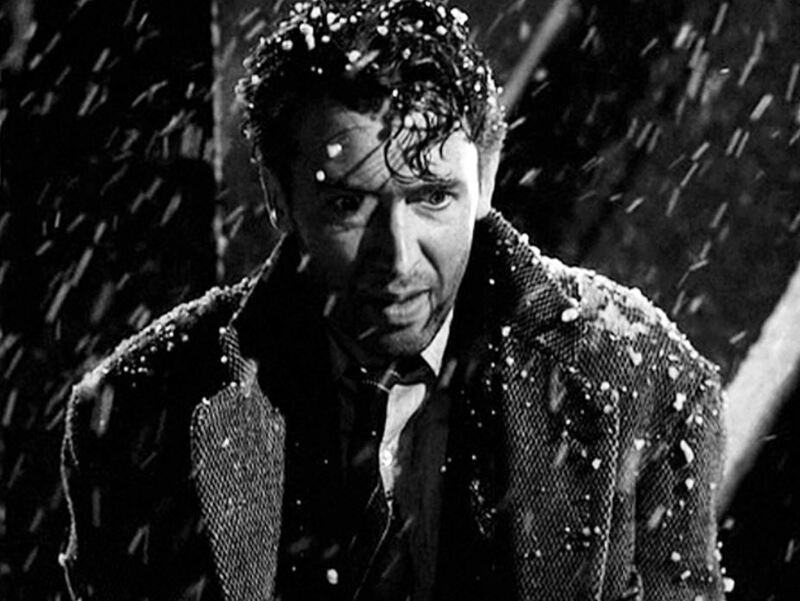 There are a lot of fun ways to commemorate Newton’s birthday – each year one of our local TV stations broadcasts the great science fiction classic, It’s a Wonderful Life, in honour of Newton. The movie probes the idea of how vastly different the world might be if one person – let’s call him George – had never been born. In the absence of George, the Earth suffers a devastating dystopia as gambling, jazzy music, and boozing abound. Without George, the world is a far different place. It’s just a movie, of course, so we will never know the impact of just one George. 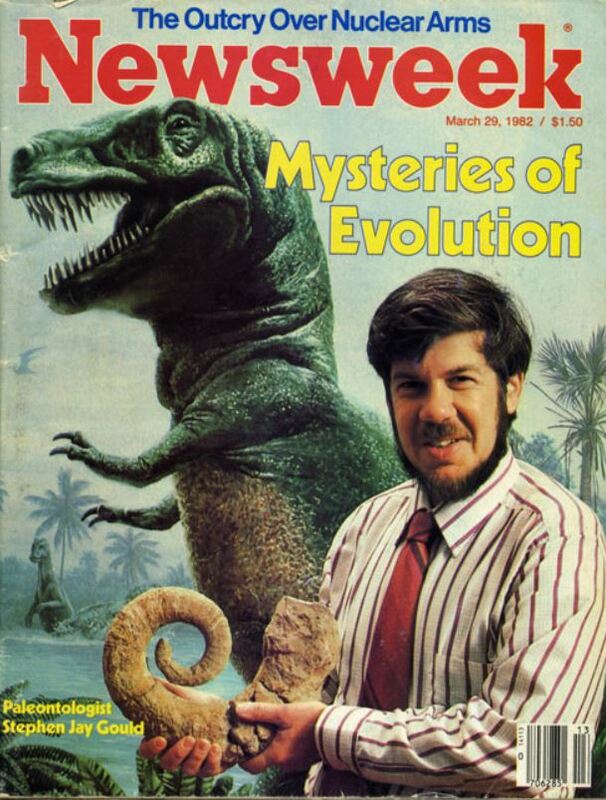 However, Harvard paleontologist Stephen Jay Gould pursued the idea by investigating the evolution of life on Earth as it might have been, had the peculiar creatures of the Burgess Shale survived and had the Cambrian extinction not taken place. Gould’s thought experiment – what our planet would be like without that one single extinction event – is part of his outstanding 1989 book, Wonderful Life. Catchy title, isn’t it? I have a signed copy of the book. Not signed by Professor Gould, but signed instead by my former co-workers who presented the book to me when I resigned from a big, big, big corporation (I think it is the world’s largest.) where I had briefly worked. The signatures of my co-workers mean more to me than Gould’s name inscribed in the book would have meant, though I liked Stephen Jay Gould and immensely enjoyed a talk he gave here in Calgary in 1991, the year Wonderful Life was a finalist for the Pulitzer Prize. Gould spoke about his book and the evolution of life. He was great. Here is my three-paragraph recap of Gould’s Wonderful Life: The Burgess Shale and the Nature of History. Yes, the book has a subtitle. This narrows the scope of the book down to Canada’s Burgess Shale and the entire Nature of History. Gould is up to the task. Gould believed that chance was one of the crucial factors in the evolution of life on Earth and survival of the fittest might actually be survival of the luckiest. Controversially, Gould suggests that fitness for existing conditions does not guarantee long-term survival. If environmental conditions change abruptly, species survival may depend mostly on luck. It could also mean that the best adapted creatures for the present environment will be replaced by marginal creatures that have attributes unexpectedly suited to a suddenly changed environment. This certainly challenges “survival of the fittest” – those best adapted for the present environment might not win the longevity contest against some obscure maladapted creatures that were inadvertently prepared for some radically and abruptly changed future environment. 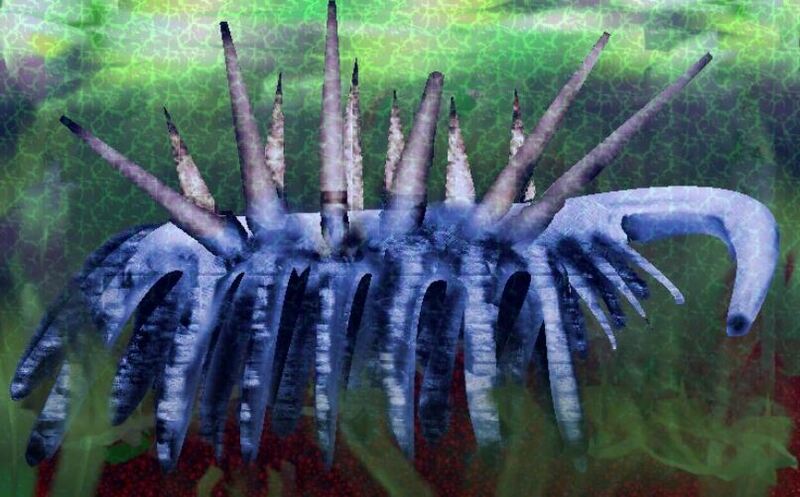 Hallucigenia – not your grandfather’s ancestor. 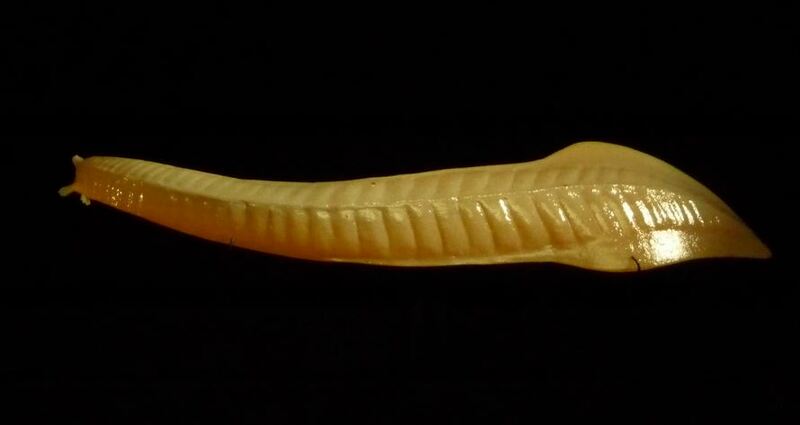 A large part of Gould’s argument is based on remarkably well-preserved fossils in British Columbia’s Burgess Shale. The type of animals that thrived just after the Cambrian explosion (around 505 million years ago) would not normally have left fossils, but the muddy conditions (now a shale formation in the Rockies) captured their soft bodies’ outlines in surprisingly clear relief. Gould argued that during the Cambrian the Burgess fauna were perfectly adapted to their environment, but most of them left no descendants because conditions changed. Most Burgessites became extinct. Importantly for Gould’s thesis, surviving creatures did not seem better adapted than the ones that went extinct. Stephen Jay Gould invites us to consider what the world would be like if we could roll back time, change the happenstance of the extinction event, and imagine that the world is now populated by descendants of Hallucigenia rather than Pikaia. Would the distant offspring of Hallucigenia have evolved into bloggers who could ponder this question? But here we are. And now, with the big Newton holiday quickly approaching, you might consider lighting a candle to one of science’s most brilliant brains. Or perhaps buying a copy of Wonderful Life for the science geeks in your circle of friends. It is sure to be appreciated. Maybe it can become an annual tradition. *About Newton’s birthday on December 25th 1642 . . . Most references cite January 4, 1643, the date it falls upon with our Gregorian calendar. But it was a Julian calendar hanging on his mum’s cottage wall when he was born, and it said December 25, 1642. This gives you a chance to celebrate his birth twice each year. This entry was posted in Book Review, Culture, Geology and tagged Burgess Shale, evolution, Newton, Stephen Jay Gould, Wonderful Life. Bookmark the permalink.